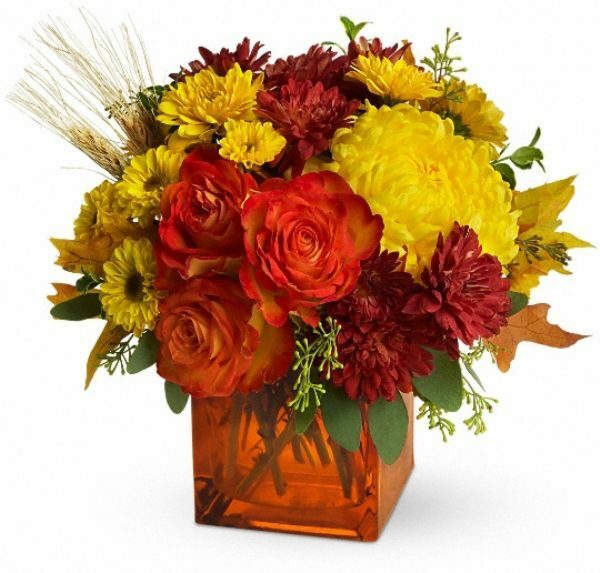 Communicate with your Florist - Bunches Flower Co. - Talk to your florist!! Your cousin is about to graduate high school and your neighbour was named curler of the year by his club. You’d like to express your heart-felt congratulations by giving a nice floral arrangement, but how do you get through the fog of ordering flowers? 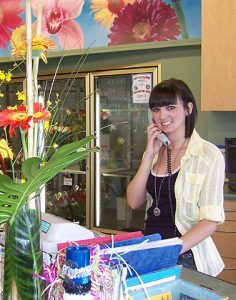 You can help Bunches Flower Co. create a special floral arrangement with just the right message by clearly communicating what you want to say, how you want to say it, and finally, how much you want to spend. Start by telling us what the occasion is, particularly if it is something other than a well known holiday or event, such as a personal achievement, concern, or milestone in a relationship. Give us some general information about the recipient, such as age, gender, personality type, as well as your relationship with that person. Let us know what sentiment you wish to convey. 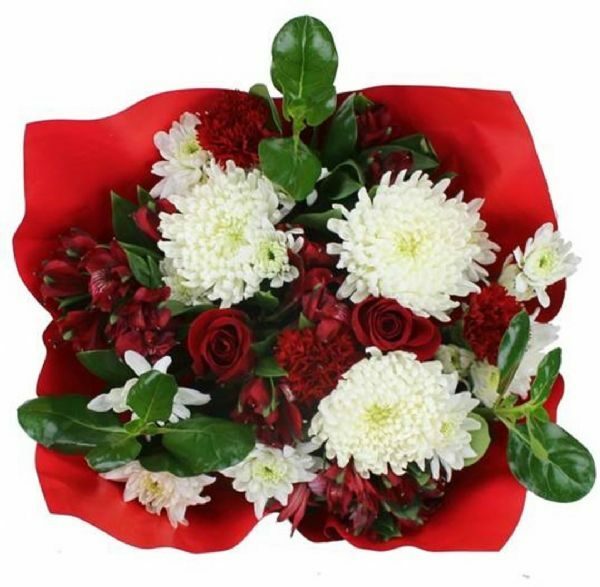 We will be happy to suggest the right kind of flowers which are traditionally used on specific occasions. 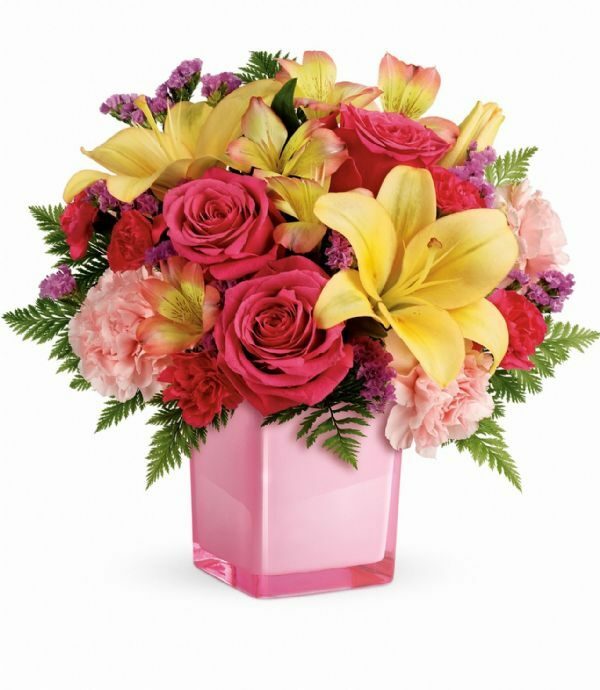 Does the recipient have any color preferences or flower favorites? We are happy to integrate any special requests in that area. Or, you may wish to match or complement colors of the recipient’s home, or place of work. Certain colors may have special meaning to the individual or your relationship with them. Monochromatic color groupings can be quite dramatic, for both modern, trendy arrangements as well as softer Victorian collections. Arrangements of mixed colors are always cheery, and particularly if you draw a blank on color choice. They also mimic the way flowers grow in a natural or garden setting. 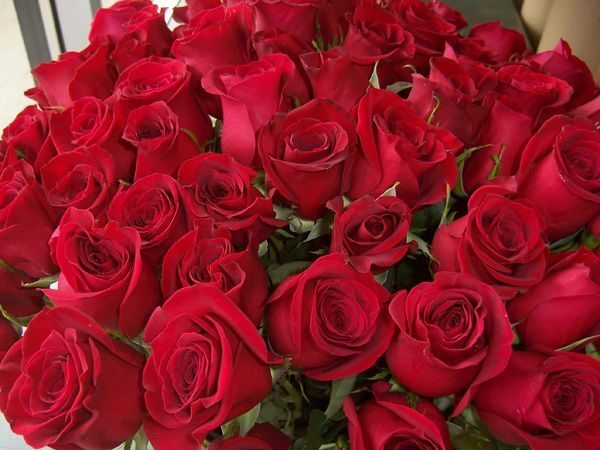 Please let us know if there are certain flowers that are definite “no-nos” due to allergies or personal dislikes. No two floral arrangements are exactly alike. 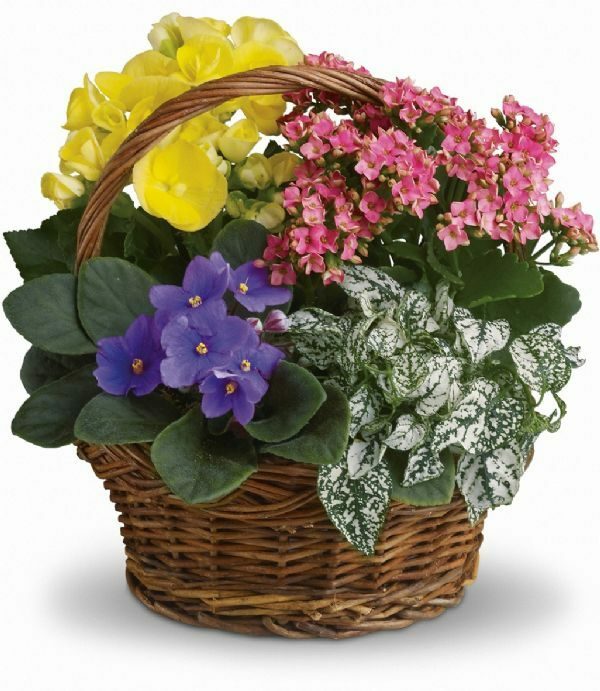 The very same collection of flowers can be arranged in many different styles, depending on the positioning of the flowers, and the choice of accessory foliage and container. 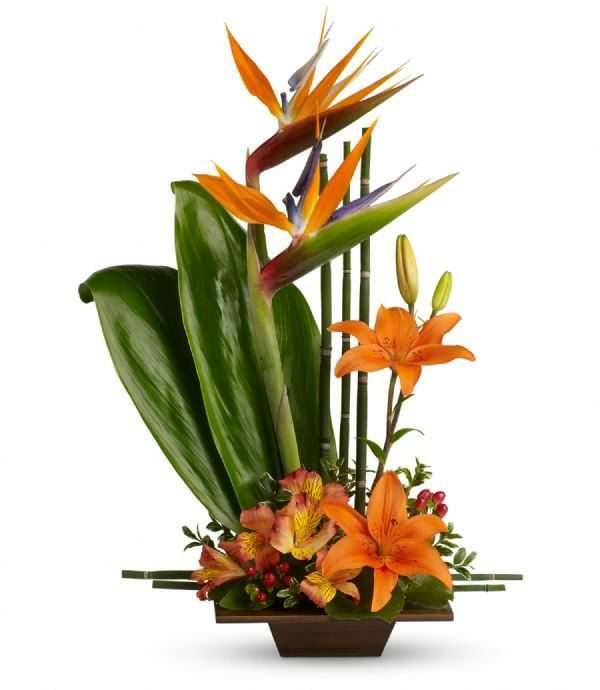 Here are some common words that florists are used to hearing and which may help you visualize your desired floral style: Masculine/feminine; formal/informal; traditional/contemporary; country garden/stylized; loose, airy/tailored; bold, dramatic; tropical; unusual; seasonal; ikebana (Japanese style); European. 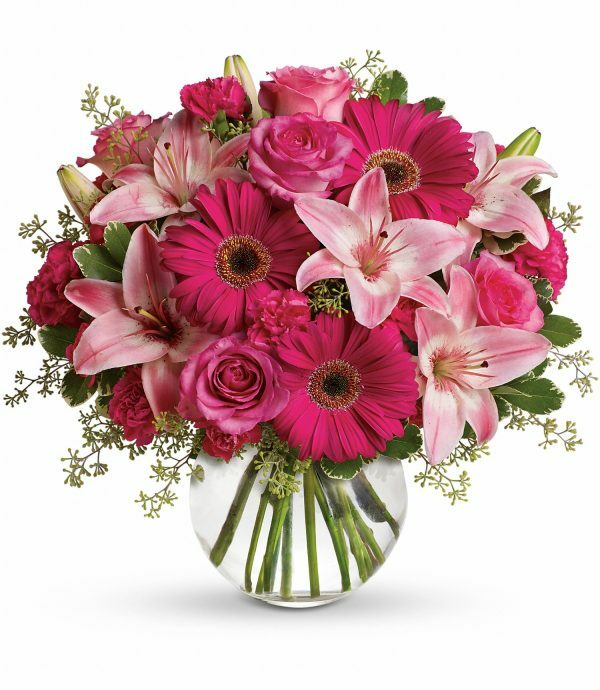 If possible, let us know where the arrangement will be displayed, for example, on an office desk; in a hospital room; in the center of a conference or dining table; at an entrance hall. 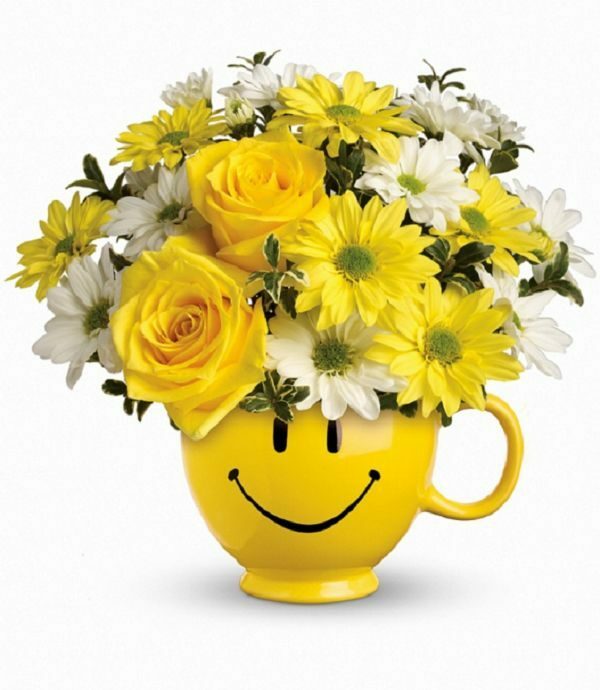 Taller vase arrangements work best for office desks and hospital rooms where surface space is limited. Horizontal, spreading arrangements are more suitable for dinner or conference table centerpieces where they should be low enough to be able to see the person sitting on the other side. Tell us if you prefer the arrangement to be “one-sided” (displayed against a wall) or “all-around” (to be viewed from all sides). 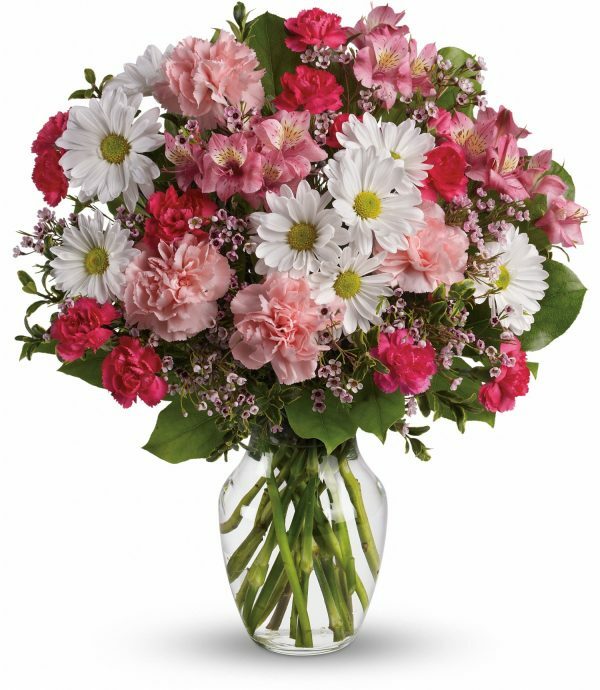 The price of an arrangement is determined by several factors such as: amount of flowers used, and the price of individual stems. Usually, the more flowers, the higher the price. Some types of flowers are more expensive than others. 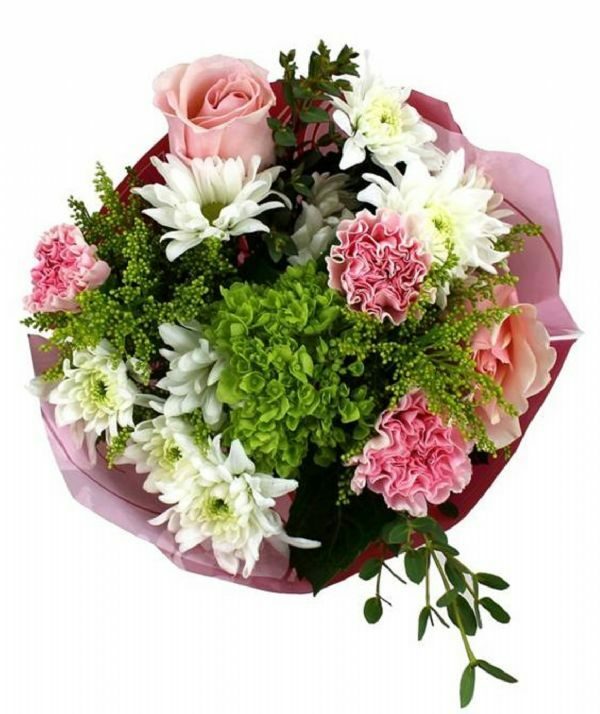 Flowers in season will cost less and look healthier than many unusual ones that are out of season. Many varieties of flowers are available year round. Mention your price range and we will be able to create a suitable arrangement, with colors you desire, to fit your budget. 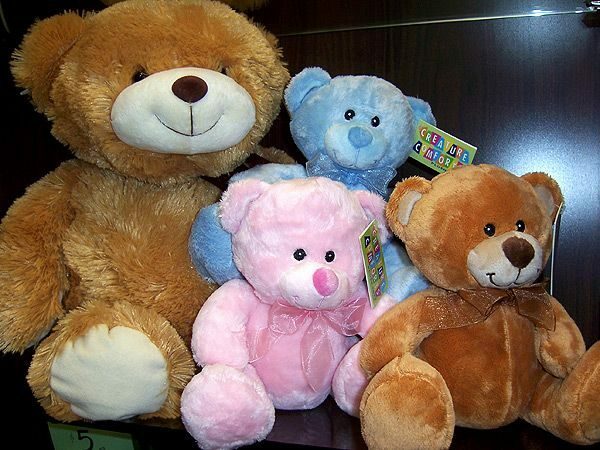 Accessories such as balloons, plush toys, candies, and other novelties, could increase the price of an arrangement. Vase and container price can also vary. 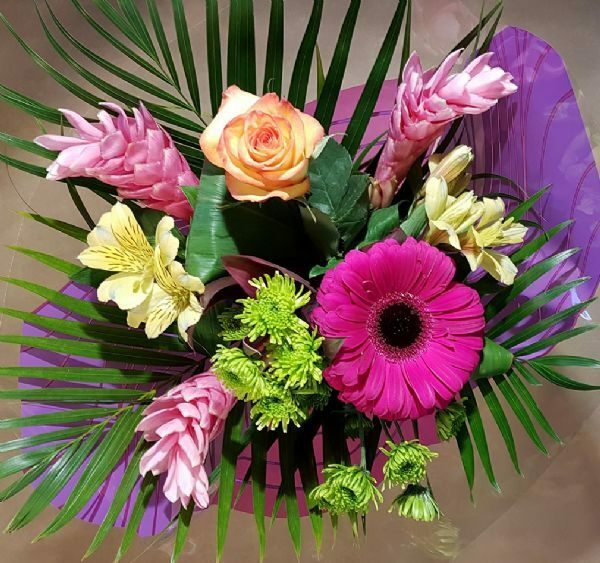 The total cost of your floral arrangement will typically be determined by a combination of the cost of the flowers, supplies, and the time required to design the item. 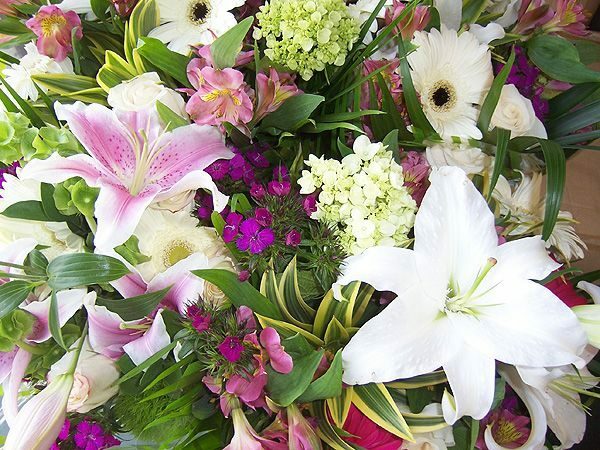 Wire services offer the convenience of ordering an arrangement for someone in another city or country. 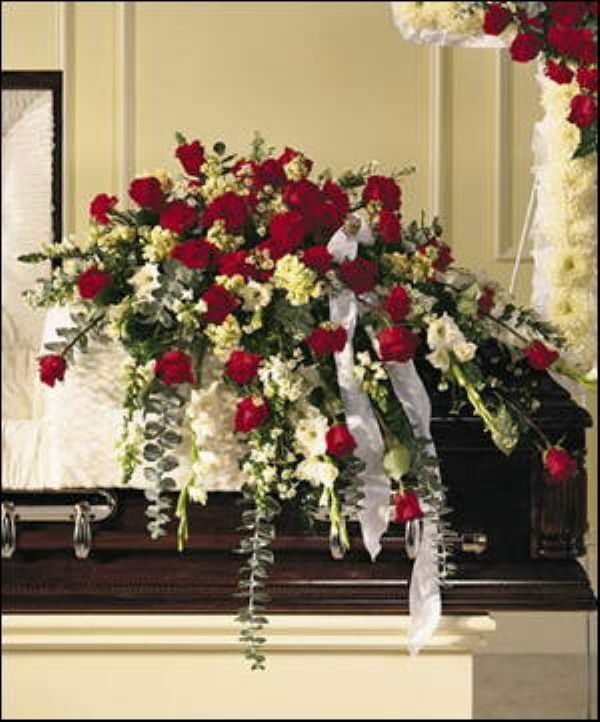 There is a small relay fee for this service, in addition to the cost of the flowers and delivery at the destination.